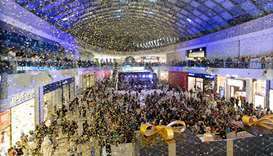 Doha Festival City (DHFC) kickstarted its second-year anniversary celebrations on April 5 with a live performance by Iraqi singer Rahma Riad at the mall’s Centre Court. 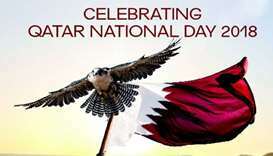 Doha Festival City (DHFC) will celebrate Qatar National Day with various family friendly activities and a taste of the country’s rich culture from Thursday. 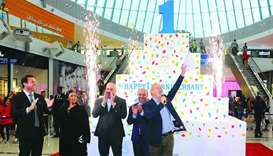 Doha Festival City (DHFC) marked its first anniversary on Thursday with an "explosive cake cutting" ceremony at the destination's Centre Court, and launching a series of celebrations throughout the year. 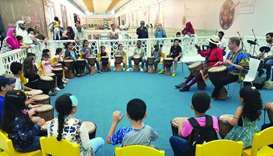 A series of new and fun-filled activities for children at Doha Festival City (DHFC) continues to attract many residents during the weekend. 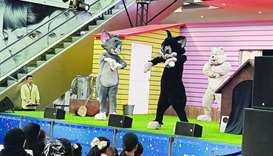 The ‘Tom and Jerry’ show continued to attract a large number of spectators on Saturday at the Doha Festival City (DHFC), bringing what was described as “a hilarious well-loved episode” of the duo on stage. 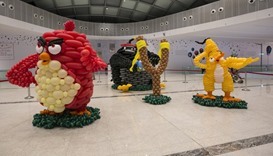 Guinness World Record holding artist Larry Moss and his team have completed the five Airigami sculptures at the Doha Festival City (DHFC). 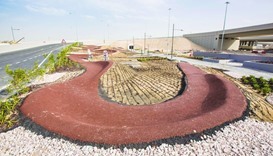 The opening of Doha Festival City’s (DHFC) 3km 'Outdoor Leisure Trail' next month will encourage many Qatar residents, especially cyclists and mountain bikers, to exercise more and live an active lifestyle, Qatar Extreme Sport (QES) founder Farhan al-Sayed told Gulf Times.